In the attack on a police party near Jammu and Kashmir Bank in Sopore, Baramulla district, militants hurled a grenade and injured at least four police personnel. 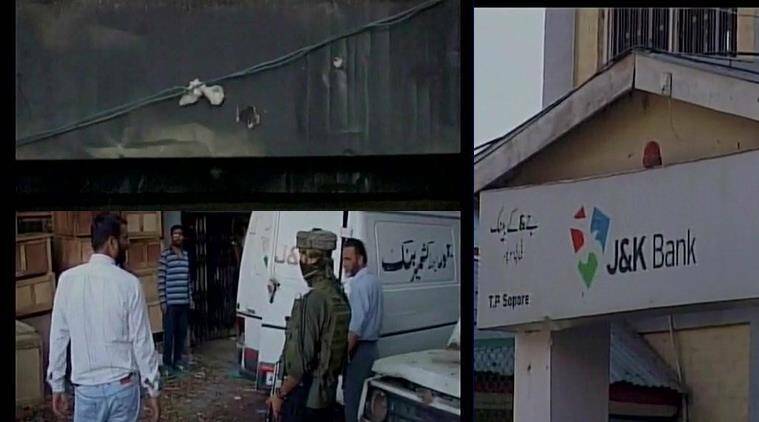 Militants Wednesday hurled a grenade at a police party near Jammu and Kashmir Bank in Sopore, Baramulla district, as reported by news agency ANI. At least four police personnel have been injured in the attack, which comes after a series of incidents involving robbery of banks and looting of ATMs. Earlier in the day, there were reports of a State Bank of India ATM machine being stolen by unidentified men in Anantnag district, Srinagar, on the intervening night of Tuesday and Wednesday. There have been a total of 14 other instances of attacks on banks or money being looted in the state in the last six months. Armed robbers have looted nearly Rs 92 lakh since October 2016. On May 27, burglars looted an ATM belonging to the Jammu and Kashmir Bank in Kupwara district, making away with nearly Rs 15 lakh.